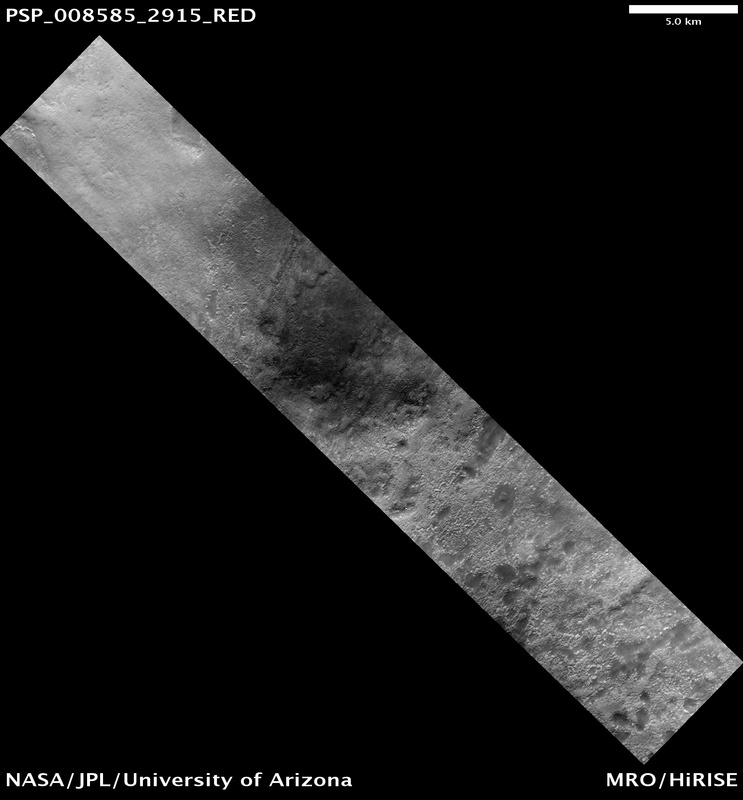 MRO’s HiRISE camera acquired this image of the Phoenix landing site 11 hours after landing. 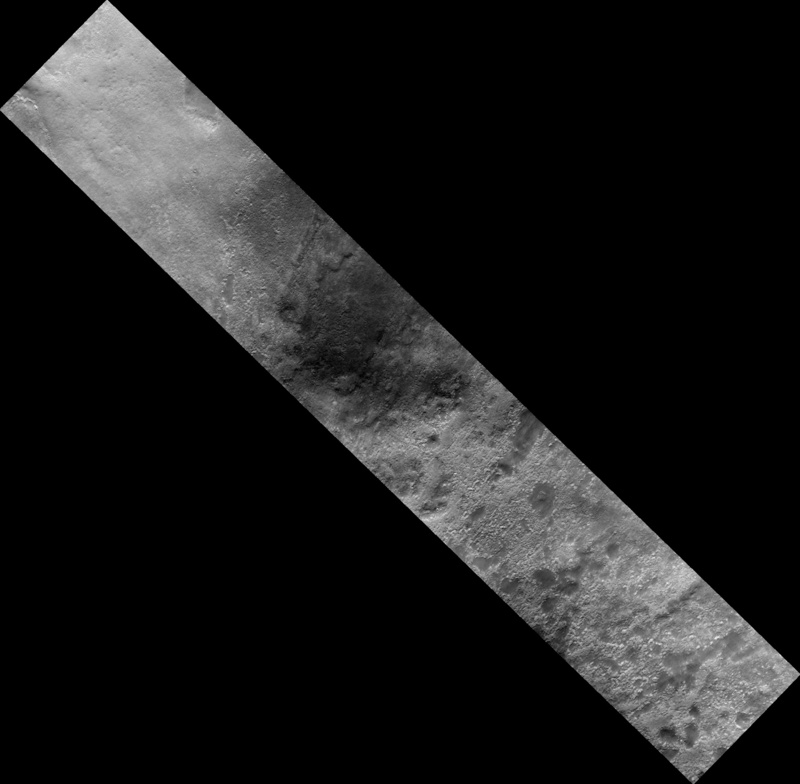 The image shows three unusual features, which were not present in the earlier, pre-landing HiRISE image. We expect to find three main pieces of hardware: the parachute attached to the backshell, the heat shield, and the lander itself. The parachute (lower right) is easy to identify because it is especially bright, although this image doesn't clearly reveal the backshell. The double dark marking at upper right seems most consistent with disturbance of the ground from impact and bouncing of the heat shield, which fell from a height of about 13 kilometers. The last object (upper left) appears to be a about the right size and height for the lander, and with dark objects on each side (to the east and west) consistent with the solar arrays. 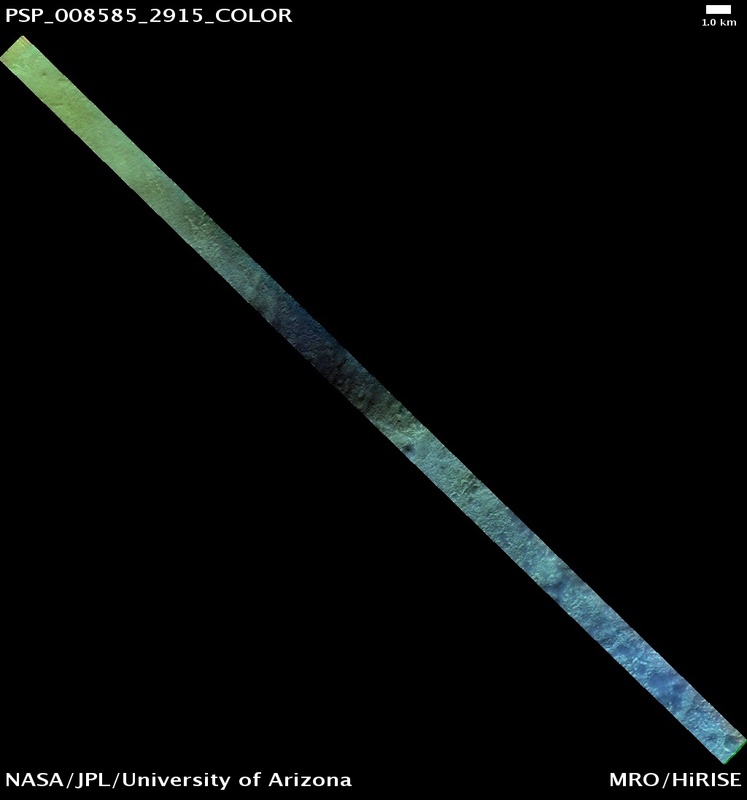 This image was acquired in the nighttime, when the arctic sun was only 12 degrees above the horizon to the northeast. Later images will be acquired in the daytime with the sun higher in the sky and to the southwest, and could confirm our initial interpretations. North is about 7 degrees to the left of straight up in this image. 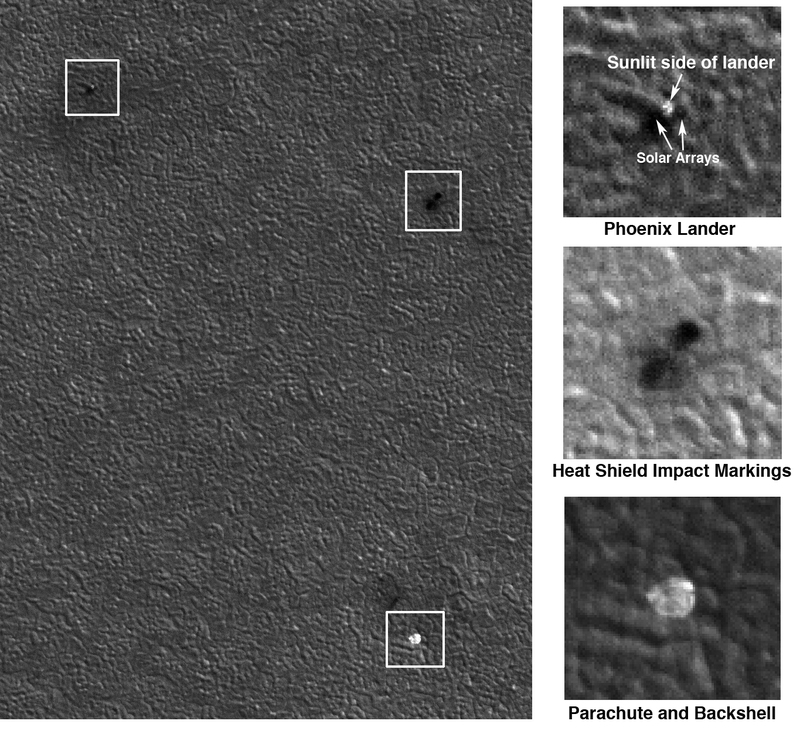 These objects were later confirmed on the subsequent HiRISE observation acquired 22 hours after landing.